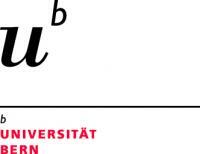 The University of Bern is a comprehensive university with 8 faculties, 15'000 students and 4000 staff. The University Children's Hospital Bern is Switzerlands second largest Children's Hospital and covers the entire range of paediatric disciplines except liver transplantation. It is a recognized tertiary referral center of excellence for education and research. Prof. Christoph Aebi is the Head of the Department of Paediatrics. The hospital covers a population area of approximately 2 million inhabitants of central Switzerland. The team in the University Children`s Hospital Bern has a long standing research focus on the role of innate immunity in severe infections in pediatric patients. This research extended to include epidemiology, mucosal immunity and host-pathogen interaction and sepsis markers, which a number of successful publications in leading journals. The logistics have been set up to efficiently include patients and process samples. The team is used to closely cooperate with other successful teams.The University of Bern is a comprehensive university with 8 faculties, 15'000 students and 4000 staff. The University Children's Hospital Bern is Switzerlands second largest Children's Hospital and covers the entire range of paediatric disciplines except liver transplantation. It is a recognized tertiary referral center of excellence for education and research. Prof. Christoph Aebi is the Head of the Department of Paediatrics. The hospital covers a population area of approximately 2 million inhabitants of central Switzerland. The team in the University Children`s Hospital Bern has a long standing research focus on the role of innate immunity in severe infections in pediatric patients. This research extended to include epidemiology, mucosal immunity and host-pathogen interaction and sepsis markers, which a number of successful publications in leading journals. The logistics have been set up to efficiently include patients and process samples. The team is used to closely cooperate with other successful teams. The Swiss Pediatric Sepsis Study is a nationwide prospective multicenter observational cohort study coordinated by the University of Bern. This nationwide cohort study prospectively enrols children with confirmed sepsis, which remains one of the leading causes of childhood mortality. The study registers epidemiologic data, performs biobanking, and investigates the genomics of severe sepsis in children. The study has been running since 2011 in all Swiss university clinics and has registered over 500 cases of confirmed bloodculture-positive sepsis in children, with inclusion rates of 80%. The main tasks of the Swiss Pediatric Sepsis Study will be to contribute accurately phenotyped cases to the central European GWAS, and the prospective extreme phenotype cohorts of patients with meningococcal disease, pneumococcal, and staphylococcal disease.